Los Angeles Police Department Release Live Video for Gently Unsettling Track "Drugs"
The notes in the beginning of Los Angeles Police Department’s “Drugs” are strangely reminiscent of Sufjan Stevens’ “Jacksonville,” but we are here to assure you that Los Angeles Police Department’s “Drugs” is not affiliated with Sufjan, and any similar content in the song is a mere thematic coincidence. As lead singer Ryan Pollie sings in the opening of the live video, “I won’t be dead for long / I will get trapped in this song”—what follows is an acoustic addict’s lament. 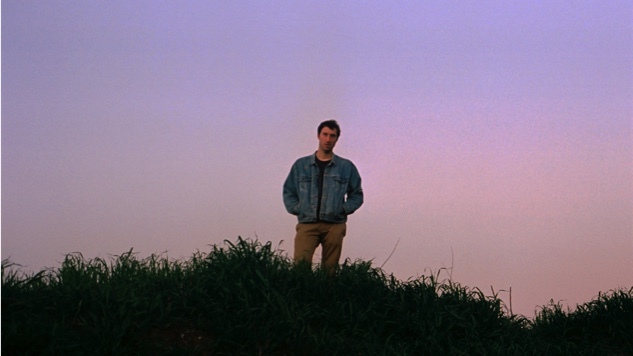 Directed by L.A.-based filmmaker and photographer Dominic Charles Ferris, the video highlights a backyard performance of “Drugs,” and the mysterious, sarcastic and overall gentle tone of the song is given a new layer of intimacy. We’re not sure whether to feel spooked or melancholy. The band’s self-titled April debut was produced by Jonathan Rado (Whitney, The Lemon Twigs) of Foxygen and mixed by Rob Schnapf (Beck, Elliott Smith, Foo Fighters). Los Angeles Police Department are now holding a residency at The Bootleg Theater in L.A., where they will hold performances on Nov. 20 and 27.